The highlighted City is Hugo. The long, thin county that stretches all along the eastern side of the Twin Cities Metro is home to the Saint Croix River valley, Spring Lake's north shore, interesting inland terrain, and a surprising paucity of bike trails. Though that's not to say you can't find the odd bituminous pathway here. 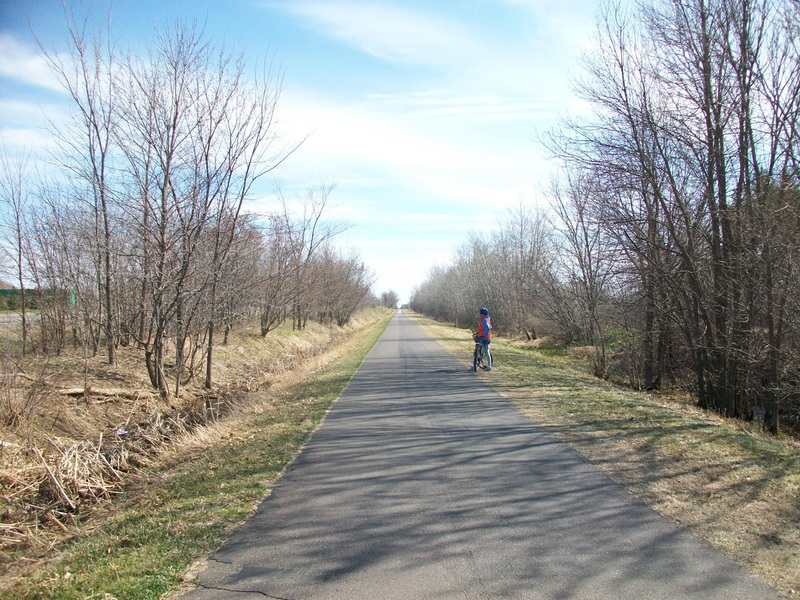 The nicest portions of the Gateway State Trail are here, and the Brown's Creek State Trail, linking it with Stillwater, has just been completed. This aptly named trail is in the beautiful Saint Croix River Valley, a place that should really have more trails. There's another trail that crosses the I-94 bridge to Hudson if you want river views, but this one just cruises along next to the Saint Croix Trail (a road), passing through a few micro-exurbs with little shade. The trail only gets interesting close to Afton, when it makes a few diversions away from the road to dive through some trees and cross the floodplain on a railroad grade, the whole time surrounded by striking wooded hills. Though the pavement could use more than a little touching up, the trail flourishes with amenities like benches, signs, and an ice cream place. Just completed in 2015, the Brown's Creek State Trail has already become the place to be -- the stream of bicycle traffic seems never-ending on nice days. But the trail deserves the traffic! 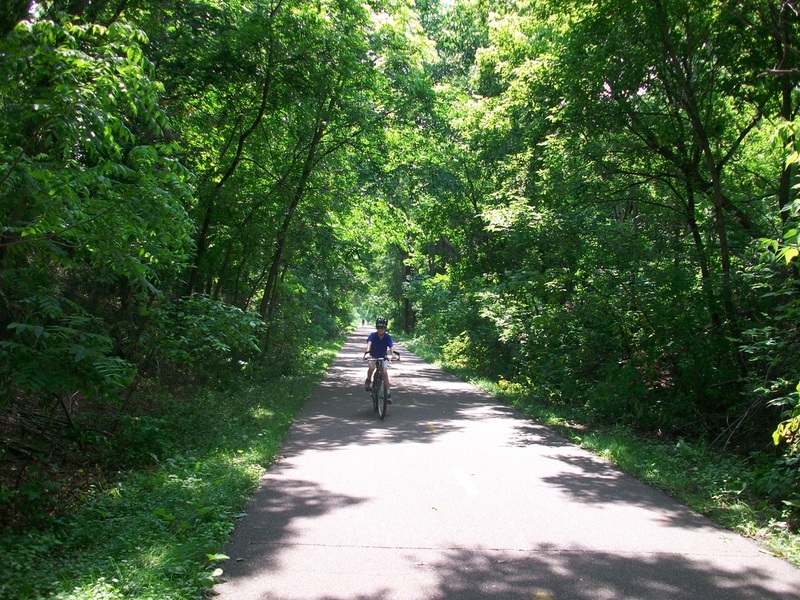 It's a gradual descent via a railroad grade from the Gateway Trail to picturesque Stillwater. While the lightly wooded pseudo-suburbia of the western section is unexceptional, the trail's highlight lies in its eastern section, where it parallels its namesake creek through a narrow ravine. Go to http://files.dnr.state.mn.us/maps/state_trails/browns_creek.pdf to download a PDF map of the Brown's Creek State Trail. 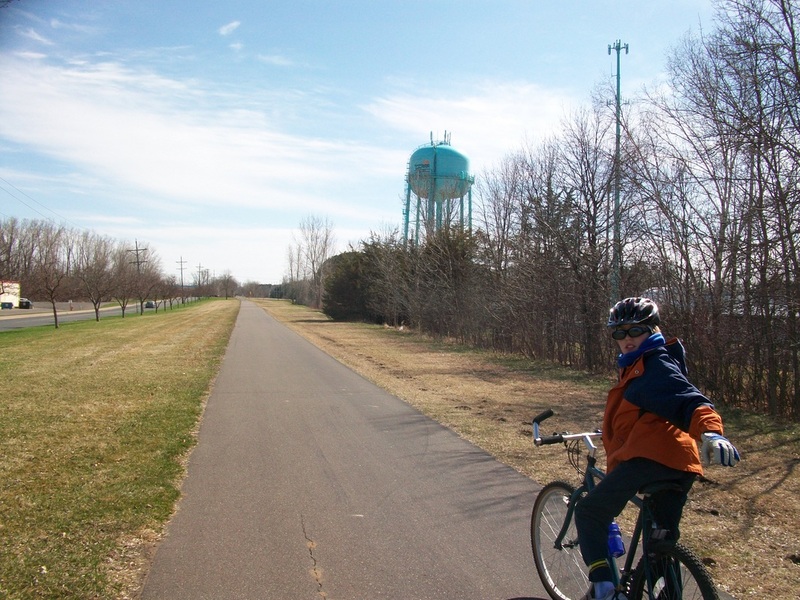 One of the oldest bike trails in the metro area, the Gateway Trail is still your best choice if you want to be quickly whisked from the inner cities to the middle of nowhere. 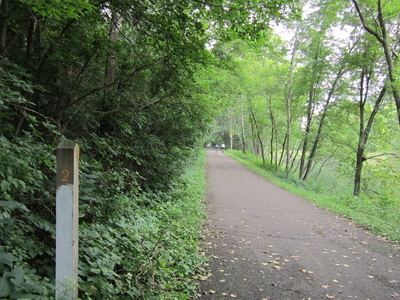 Beginning at Cayuga Street near downtown Saint Paul﻿, and following a converted railroad grade from Arlington Ave. to Pine Point Regional Park in Stillwater Township, the trail is indeed a gateway from urban to rural. 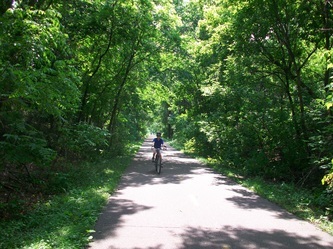 In Saint Paul and Maplewood, the trail follows a quiet tunnel of trees. It's worthwhile, but the condition of the pavement is subpar. The portion in North Saint Paul parallels Highway 36 -- it's out in the open and rather urban. 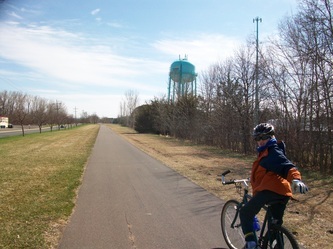 It's only after passing under I-694 (the approximate halfway point) that the Gateway Trail gets really good. The scenery turns to countryside, with woods, marshes and fields stretching around you. And the pavement is smoother, though you should watch out for horse poop (a horse trail runs next to the trail). Go to http://files.dnr.state.mn.us/maps/state_trails/gateway.pdf to download a PDF map of the Gateway State Trail. If you're coming all the way from the inner cities just to bike this trail, don't expect anything special. However, if you're from around here, you might find it a nice change from the area's more popular Gateway Trail. 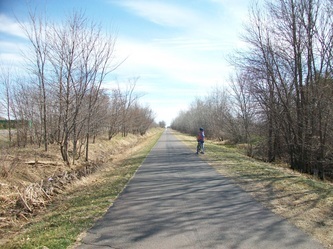 It follows an old railroad grade from Hugo to the county line a mile north of downtown Forest Lake, where it becomes the Sunrise Prairie Trail (extending to North Branch). 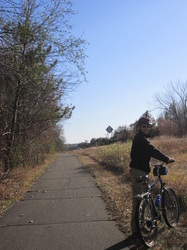 Much of the trail is straight, flat, and parallels Highway 61 -- so boring that you could fall asleep while biking. 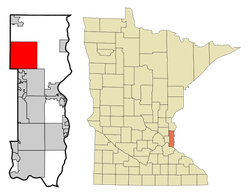 However, in the town of Forest Lake, the highway curves away from the trail and it passes through a pleasant residential neighborhood. The pavement is smooth, besides a few ruts from snowmobiles north of downtown Forest Lake. 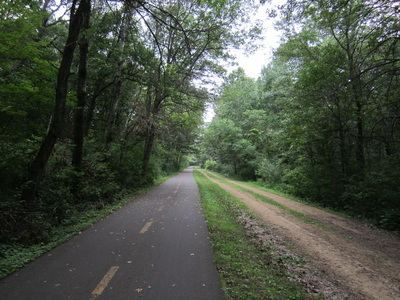 Go to http://www.co.washington.mn.us/index.aspx?nid=506 for a map and information on the Hardwood Creek Regional Trail. This nearby trail is outside the metro area but worth mentioning. Two bucks on the Stower Seven Lakes Trail between Wanderoos and Deronda. 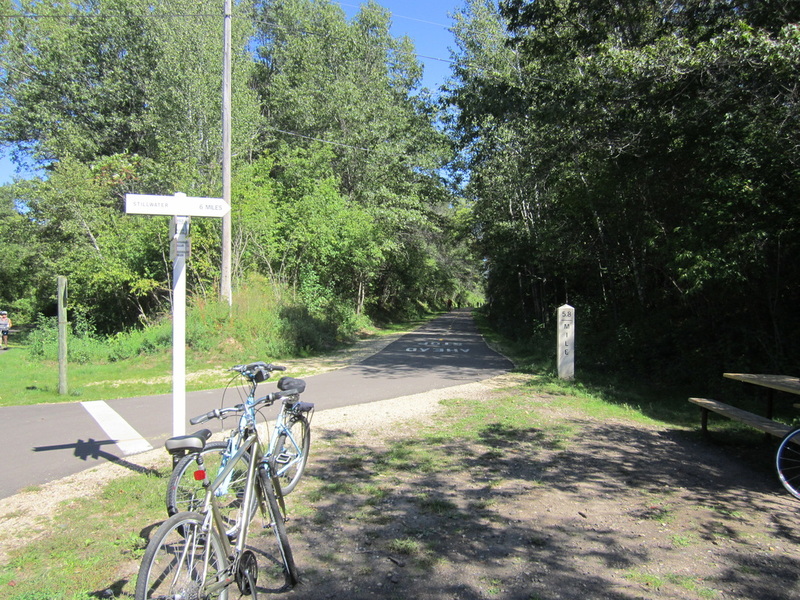 This rail trail goes from near Dresser, WI to Amery, WI. A quiet country jaunt, it passes seven lakes, forests, scenic hills and tiny towns, each with plenty of amenities. 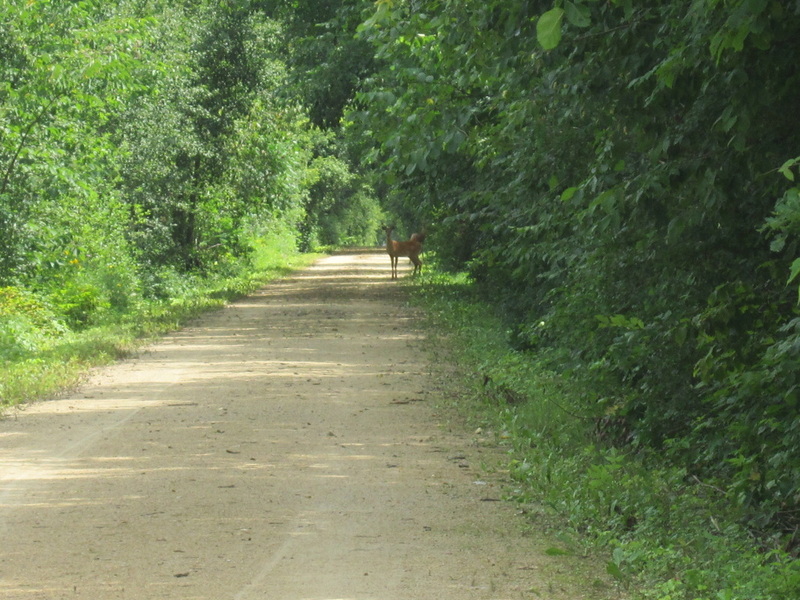 It receives much less use than similar rail trails in Minnesota, and therefore you will probably be alone on the trail and have a good chance of seeing wildlife like the deer pictured at left. 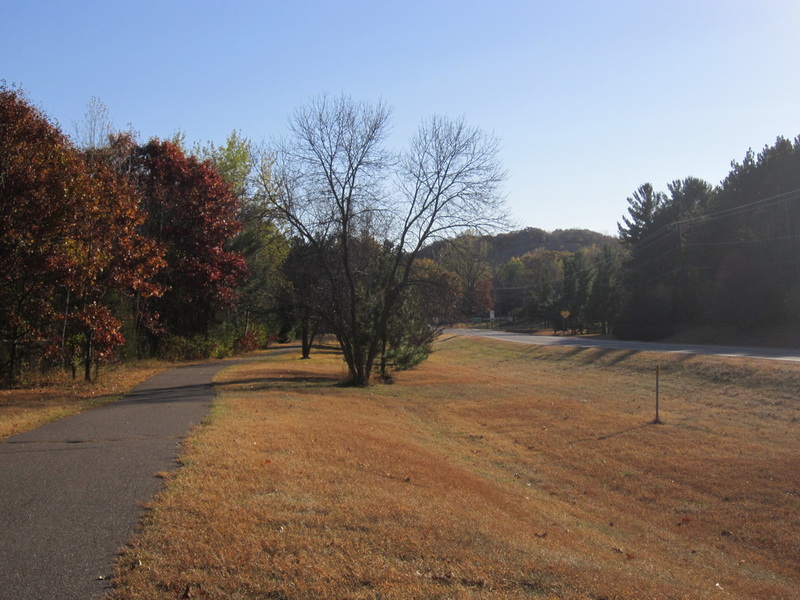 Go to http://dnr.wi.gov/topic/parks/name/stower7lakes/pdfs/map.pdf for a map of the Stower Seven Lakes State Trail. A pass is required to bike on the Stower Seven Lakes Trail for those ages 16 and older; more information here: http://dnr.wi.gov/topic/parks/trailpass.html.